Historic Waterford is one of the oldest cities in Ireland. This is where a fleet of Viking ships landed in 917 and first built a fort on the banks of the River Suir. 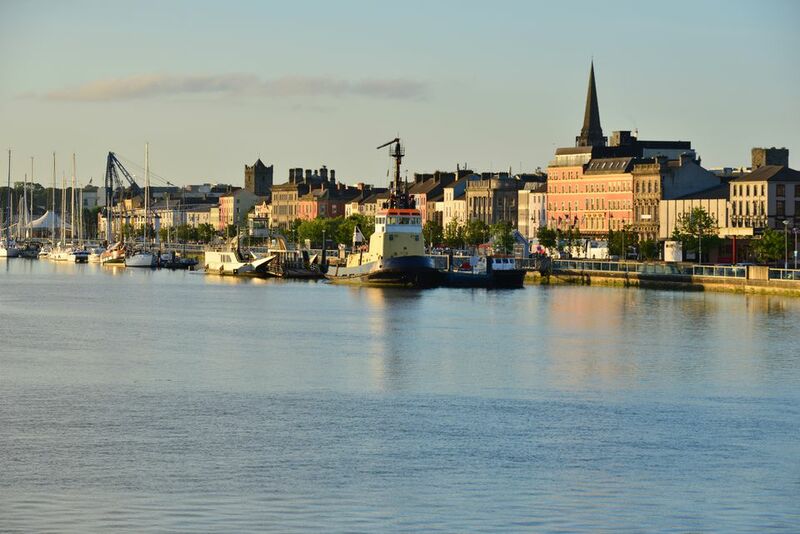 From these Viking foundations, the city has grown into a vibrant waterfront center that has received international acclaim for its famed Waterford Crystal designs. The downtown area has a historic section which includes world-class history museums, virtual reality experiences, buzzing pubs and restaurants, and lovely churches. Just beyond the city center, gorgeous gardens and quaint seaside towns await the intrepid explorer. Ready to experience the Irish destination for yourself? Here are the top things to do in Waterford City. It is said that you can cover 1,000 years of history in Waterford by walking 1,000 steps around the Viking Triangle. The downtown area covers the oldest part of the city and includes the city’s major museums, two cathedrals, the House of Waterford Crystal, and numerous cafes and pubs. This is where the Vikings first landed in Waterford in 914 and it continues to be the beating heart of the Irish city today. Located next to Christ Church Cathedral, Waterford’s medieval museum tells the fascinating story of the city’s past. This is Ireland’s only museum the is completely dedicated to medieval history. Behind the modern curves of the stone exterior are two fully preserved medieval chambers that date back to the 13th century, as well as numerous artefacts. Most famous of all is the Great Charter Roll of Waterford, a 12-foot-long parchment covered in illustrations and portraits of the English Kings. Visits can be scheduled to include tours by guides who reenact medieval scenes, and you can then wander the exhibits at your leisure. The rounded stone exterior of Reginald’s Tower is such an important landmark that it is almost a symbol of the City of Waterford itself. The tower was built by the Anglo-Normans around the 13th century and was constructed on the same site as an earlier Viking fort. It is probably named for one of the most important Viking rulers to hold power in Waterford, Reginald. The tower stands 43 feet high and was once a part of a much more extensive city wall that encircled Waterford. Over the centuries, it has been a prison, a coin mint, a private home and an air raid shelter. Today it is the home of Waterford’s Viking Museum and includes exhibits of artifacts found in the area. You can climb the wide spiral staircase inside the tower to a video exhibit on the top floor. Although most manufacturing has moved out of Ireland, it is still possible to visit the site where the shimmering craftsmanship of the highly-coveted Waterford Crystal first began. The cut crystal goblets and incredibly detailed figurines are obvious works of art, but you can gain a new appreciation for how much skill goes into developing every single piece by taking a factory tour. The visit guides guests from the furnaces churning out the molten glass, to the wooden mold making, to the workshops where the detailed hand engraving takes place, resulting in the distinctive cut glass appearance of this world-famous Irish brand. The old factory is also a place to learn about the history of Waterford Crystal, and to pick up a few special items in their shop to be passed on through the generations. Reginald’s Tower is the place to be for Viking history, and the Medieval Museum is a dream for 12th-century artifacts, but for slightly more recent history, head to the Bishop's Palace Museum, with collections covering Waterford’s past from the 17th-century to the present. The 250-year-old home was once the Bishop’s residence and is one of the best examples of Georgian architecture in the city of Waterford. The ground and first floors have been furnished in the style of the 18th century to give a sense of the building’s past elegance. The museum also has the oldest piece of Waterford Crystal in the world as well as some historic Irish landscape paintings. While there are Irish specialties to be found throughout the city, Waterford’s signature food is a soft bread roll known as a blaa. The floury roll has been a part of the city’s culinary offerings since the Irish Huguenots made their way to Waterford in the early 18th century. Fill it with a few slices of bacon, and enjoy Waterford’s favorite morning snack. Try one for yourself at Walsh’s Bakehouse, a bakery run by two brothers who make the best blaa in town. Located a short drive from the heart of Waterford, Mount Congreve Gardens are a beautiful green escape in Kilmeaden. The celebrated gardens are a part of the larger estate which surround this 18th-century Georgian mansion. The stately home is stunning but it is the 30 acres of gardens — known as one of the great gardens in the world — that draw most visitors. As you wander the grounds you will discover over 6,000 trees and shrubs as well as thousands of flowers which burst into bloom in spring, blanketing the estate with color. Waterford has wonderful history museums but there is nothing quite like being able to step back in time and experience the past for yourself. A new virtual reality tour now makes it possible to join Reginald, King of the Vikings, as he battles to control Ireland. The Viking leader will guide you 1,100 back in time to show the impact of Viking heritage in Waterford — or Vadrafjord as it would have been known then. Waterford is transformed from a medieval city to a buzzing urban cultural hotspot every year during the first weekend in August (Ireland’s August Bank Holiday). The Spraoi International Street Arts Fair is a spectacle that culminates in a parade with over 200 costumed performers and fantastic floats centered around an annual theme. Organizers also invite street artists from all over the world to create murals on the sides of the city’s buildings and have a full program of theater and musical performances. If you plan to visit the city of Waterford in December you will find Ireland’s largest Christmas festival spreading good cheer to the downtown area. Winterval organizes horse-drawn sleigh rides, ice skating, Santa visits, and lots of wintery decorations to be enjoyed by the whole family. Waterford’s city center has plenty to offer but the charming fishing village of Dunmore East is also a mere 20 minutes’ drive away. With the brightly-colored boats bobbing in the harbor, the small town is an ideal stop for a seafood lunch just outside of the city center. If you happen to visit in August, be sure to stop by during the well-known bluegrass music festival.